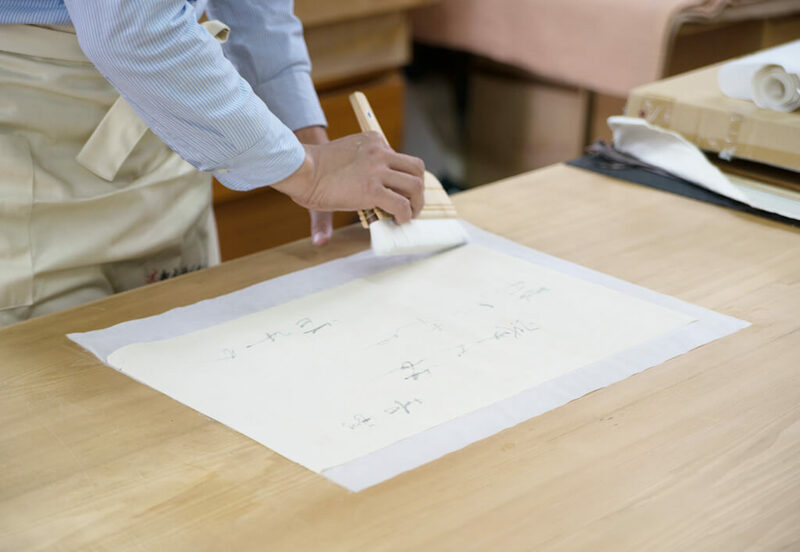 The role of a hanging scroll is beautiful presentation and safe long-term conservation of a piece of artwork on paper. 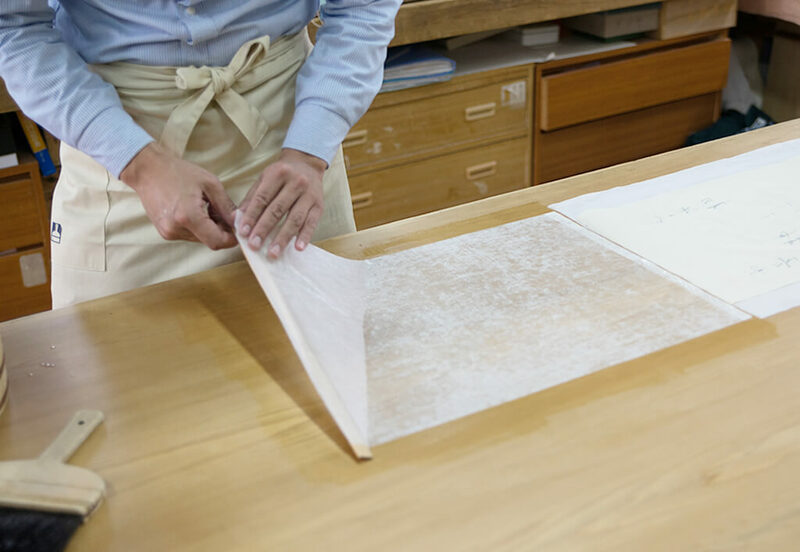 Gaining rich experience as master mounter working for Urasenke tea ceremony school, Seikodo Nakajima takes advantage of peculiarities of materials such as washi paper and kire (cut pieces of textile) to deal with all kinds of mountings that combine beauty and utility (hanging scrolls, fusuma and shoji sliding door panels, folding screens, etc.). 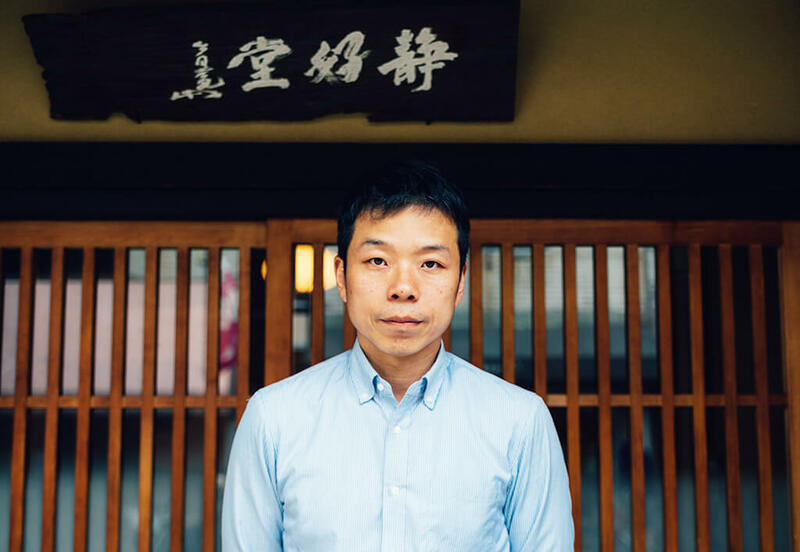 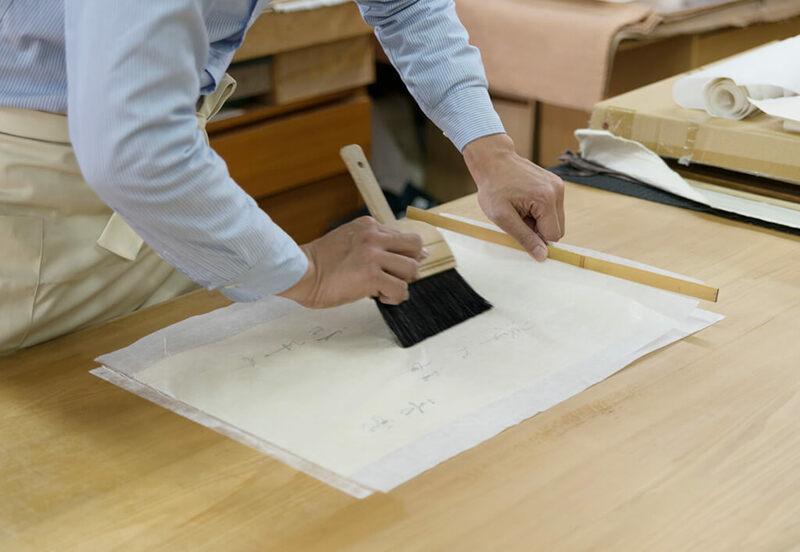 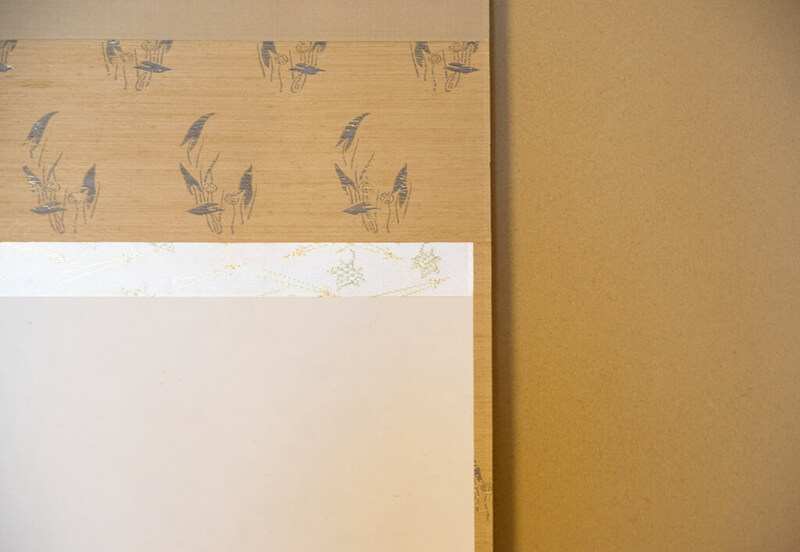 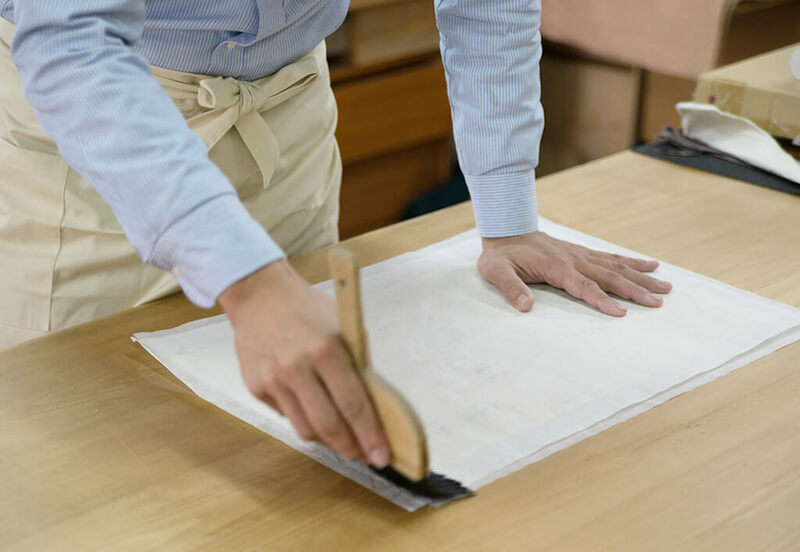 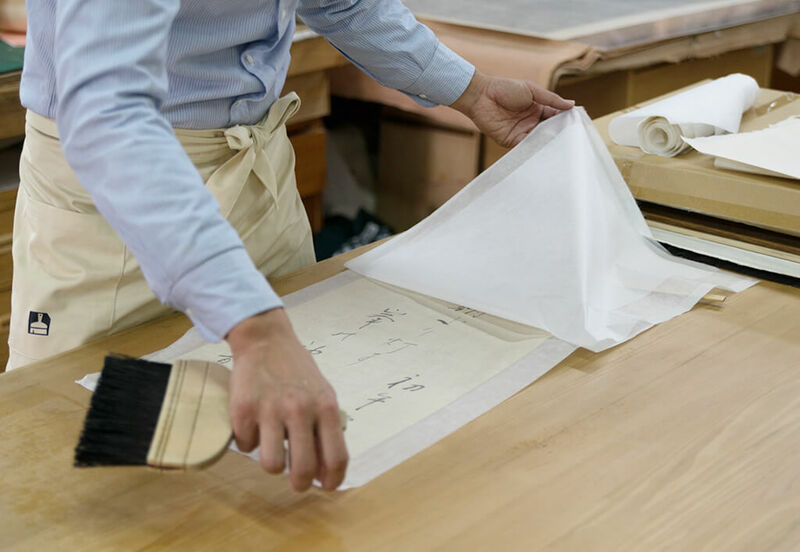 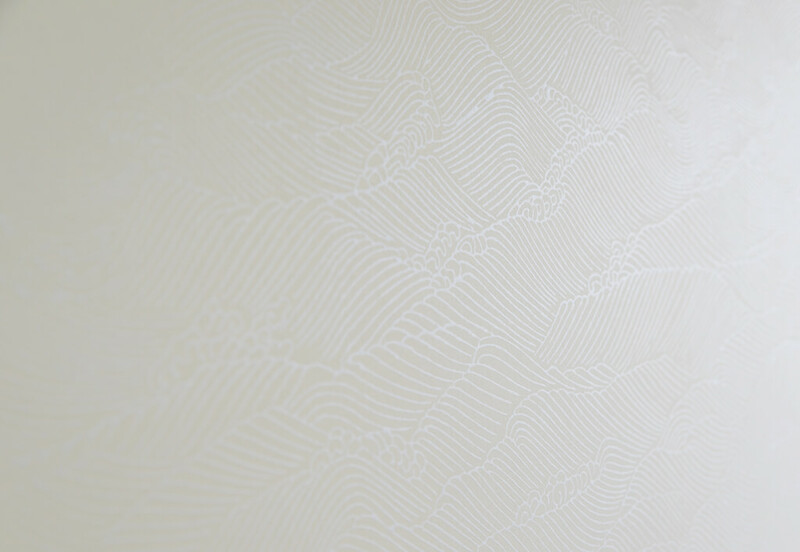 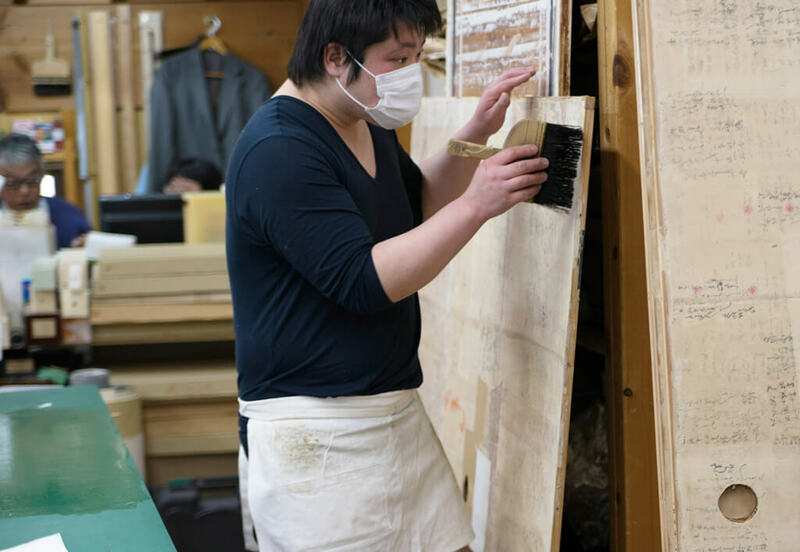 In Kyoto, the craft of mounting has developed along with fine arts and tea ceremony. 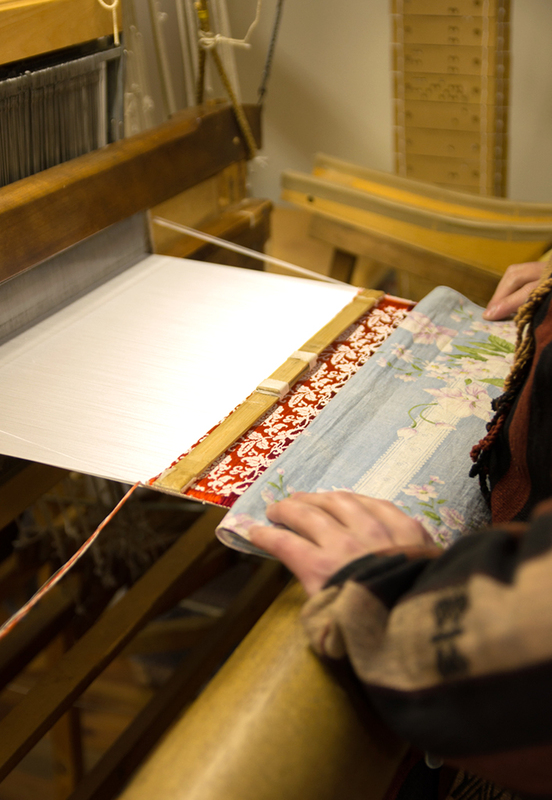 Kyoto mountings that match calligraphy and paintings with multi-coloured kire of Nishijin textiles are especially held in high esteem. 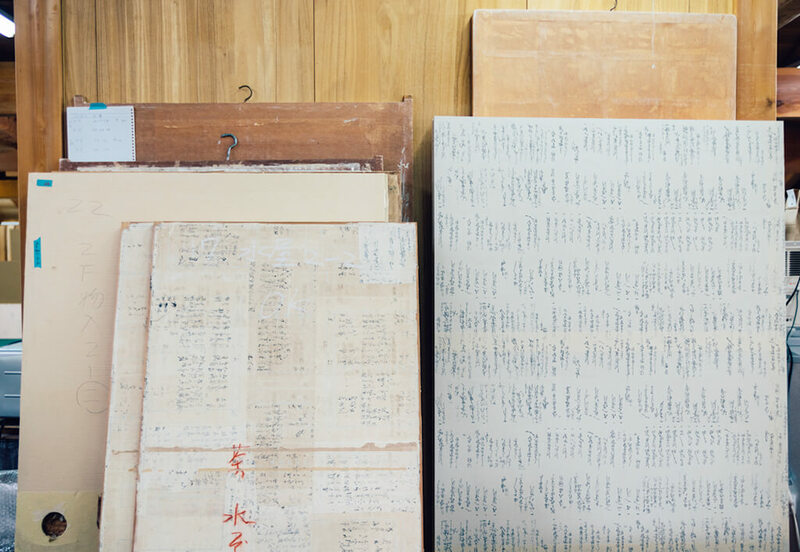 Observe different steps of mounting work process for Urasenke tea ceremony school.